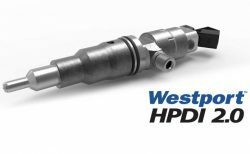 Westport Fuel Systems Inc. (Westport) supports the upcoming Plenary vote in the European Parliament to pass Europe’s first CO2 regulations which set CO2 emission reduction targets for heavy-duty vehicles. On February 27, 2019, the Committee for Environment, Public Health and Food Safety (ENVI) voted to approve the final text of the legislation previously approved by the Committee of Deputy Permanent Representatives on February 22, 2019. This has now set the stage for final approval by the European Parliament currently scheduled for the week of April 15, 2019. In addition, the proposed Regulation calls on the Commission to submit a report in 2022 outlining a potential methodology to provide a credit for the contribution of additional CO2 emission reductions through the use of synthetic and advanced alternative liquid and gaseous fuels, including renewable natural gas (RNG). Furthermore, the Commission has been tasked with the development of a methodology to assess and report on the full life-cycle CO2 emissions of heavy-duty vehicles taking into account the CO2 impact of materials extraction and disposal and the manufacturing process. “These Regulations send a strong signal in support of the continued development and accelerated deployment of alternative fuel technologies together with supporting refuelling infrastructure. Future considerations to account for the emission reduction benefits of renewable natural gas and a full life-cycle accounting for heavy-duty vehicles sets the industry on a path to delivering a significant contribution to broader decarbonisation goals”, said Johnson. “It is important that the CO2 reduction potential of using renewable fuels are fully recognised. We look forward to the European Commission’s assessment of how to best account for these benefits”.